Architecture has the potential to be greatly enriched with an inclusive appreciation of both 'Western' ('European') and 'Eastern' ('Asian') perspectives. This is not to say that we favor Asian style, but rather, that we appreciate the contrasting character of Asian thought systems and what those outlooks can do to deepen and enrich the design sensibilities that, as children of Western culture, many of us have so deeply embedded in our psyche. Mostly without being consciously aware of it, we all create our built environment as products of our culture and the context of the brief moment in history within which our view of our world frames our perspectives. The contrasting character and historical thought patterns of 'Western' and 'Eastern' civilizations may be traced to many influences in their respective histories. 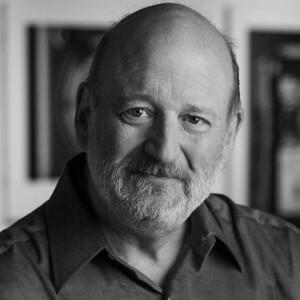 As the intellectual and cultural foundations of each have evolved, significant developments may often be attributed to the influence of influential individuals - who were, in turn, products of their own intellectual and cultural contexts - and who dramatically shaped important 'defining' ideas and thought systems that have been carried forward. Two historical figures that both reflected and advanced the thought systems of their respective culture are Descartes (from Western culture) and Lao Tzu (from Eastern culture). 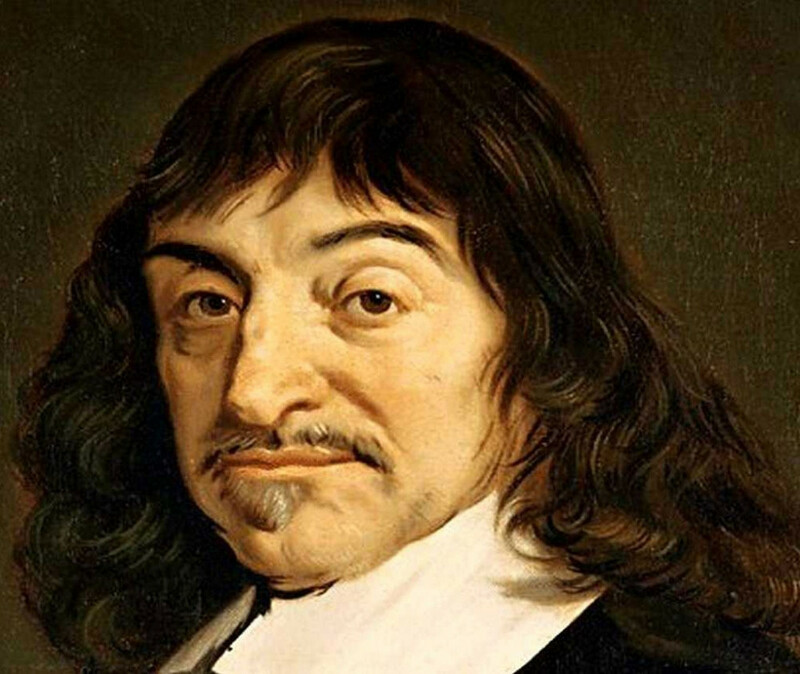 Rene Descartes lived in Europe from 1596 to 1650 A.D., establishing a place in history as a major contributor to both mathematical and philosophical thought. He received a Jesuit education in France, where he studied classics, logic, Greek philosophers, and mathematics. He traveled widely throughout Europe by means of voluntary military service. When he was 22, he formed a relationship with the Dutch mathematician, Isaac Beekman, who inspired Descartes with theories about how mathematics could be used to approach the solution of countless problems in physics. At the age of 32, he settled in Holland and began corresponding and writing books on physics, math, theology, and philosophy. His writing reflected his interest in the relative intellectual certainty of mathematics, as well as his growing belief that scientific method could be raised to the level where it yielded knowledge as certain as mathematical theory and calculation. In his search for certainty in all knowledge, he developed the infamous philosophical statement: "I think, therefore I am." At the heart of this statement is a logical reduction of what Descartes determined he could, with certainty, 'know'. Because he was thinking, he had a mind; because he had a mind, he existed. Any subjective aspect of reality or experience, passed through his senses, intellect, emotions, or memory to his mind, may be doubted; but the existence of his mind due to the presence of thought was an absolute logistical certainty. The duality of mind and body embedded in this statement, and built upon in virtually all of Decartes' work to follow, is a reflection of a broad tendency in Western thought and culture - which Descartes advanced substantially - to think of the 'self' as apart from the 'world'. The writings of Descartes reflect a view of the world in which absolute and certain knowledge follows scientific method; we remove ourselves from nature, which we then presume to observe and/or control. Chinese legend tells of Lao Tzu, the keeper of the archives at the royal court of King Wu of Zhou, who left for Tibet about 2500 years ago - at the age of 80 - looking for a simpler, more satisfying way of life. At the border, a guard detained him and prevailed upon him to record his teachings, whereupon he wrote the Tao Te Ching ("Writings of Maps of the Way"). The basis of Tao ("the path" or "the way") is collected in this small book. The philosophical Chinese heritage of Taoism is paralleled by that of Confucianism, which dates roughly from the same historical period and conditions in China. The teachings of Confucianism tend to focus on the structure and conduct of social interactions - as opposed to Taoism, which promotes a highly unstructured, individualistic, and mystical view. Both view 'nature' and 'the natural' as an ideal, but the former looks toward the structure and patterns of nature as a model to guide human societal interaction and structure; the Taoist view strives for 'the natural' in the individual and eschews any form of structure or authority. A critical doctrine of Taoist thought (wu-wei) is that we should become free of 'desire' to more spontaneously and intuitively respond to life. This Taoist ideal is expressed in the statement "Do that which consists in taking no action, and order will prevail". This is not literally a call to no action, but rather an expression of an ideal of acting in a 'natural' manner that follows the flow of natural forces rather than straining against them. Toward this end, one should move away from intellectual activity that creates or promotes desire by abandoning 'knowledge' that follows the use of names or distinctions between things. Lao Tzu and Descartes both aspired to an understanding of the cosmos, and both believed in the existence of a cosmic order beyond the realm of human understanding. Additionally, both were wary of the subjectivity of human experience. Taoist teachings view language as a convention of man that removes us from the direct experience of nature; Descartes observed that no aspect of human experience could be experienced with absolute certainty. Basic assumptions about the human condition and the relationship between human experience and the world at large are dramatically different between the Eastern view of Lao Tzu and the Western view of Descartes. Lao Tzu coaxes us to 'abandon' knowledge to free ourselves of desire; Descartes counsels us that the human mind is the absolute basis of our human condition. For Lao Tzu, the human condition was one of being inseparably immersed in the world, being part of the natural order of the cosmos. Descartes advanced the concept of a duality of mind and body. Cultural contexts shape the way we perceive and manipulate our built environment (and that built environment, of course, then tends to influence our culture, and so on). The contrast between the cultures from which Decartes and Lao Tzu emerged may be illuminated by comparing how theoretical design solutions for a house for each of the respective philosophers might reflect the ideals and biases of each philosophical world view. Assuming the same physical context (site), how might the 'Eastern' solution vary from the 'Western' solution? 1. Aggressive Placement Common Western practice is to find the very 'best' place on a site, then build a home on that very location. The land is claimed for human use; the most special part of the site is ultimately given to a building. The example solution locates the house right on the beach, extending over the water to provide optimum views. 2. Site Transformation Western culture tends to view the built environment of man as a refinement of wild or 'unimproved' conditions. The natural landscape is displaced or replaced by an environment built around human interests, and this is called 'development'. Interventions in nature to serve the 'self' (or serve the interests of others - other 'selfs') are generally supported by the culture as the proper way for man to engage the landscape to serve his needs. 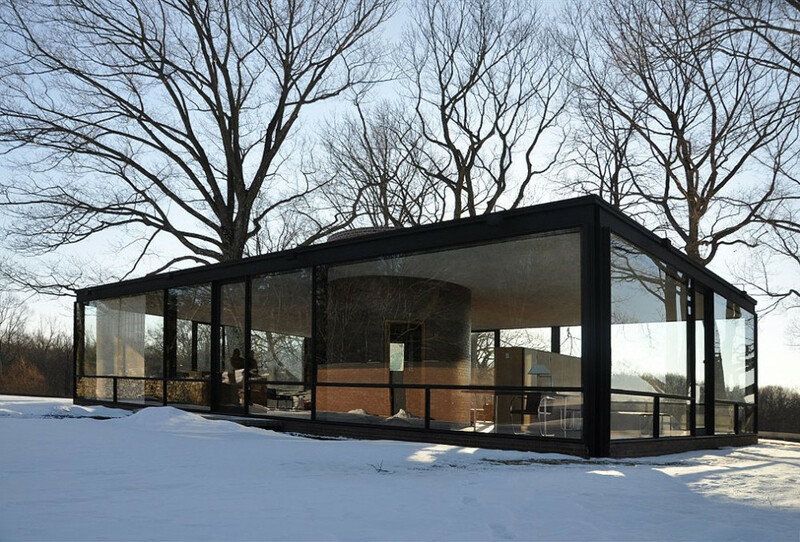 The House for Descartes removes trees, redirects the watershed, and dramatically alters the topography of the site as abstract intellectual concepts are imposed on natural elements. Substantial areas of the beach and even the lake are displaced by construction. 3. Dominate Western culture views the world as the dominion of mankind; it is our world to shape to meet our needs and desires. The design of the House for Descartes would dominate the landscape with 'architectural' elements - the product of human intellect transforming the site for human use - and reflective of the specific tastes and aspirations of the owner. 4. Formal Composition Western architecture tends to impose Cartesian intellectual order over natural landscapes as they are reworked to suit human interests. In the House for Descartes, spatial organization is defined by components of construction organized in strict conformance with abstract geometrical (Cartesian) control. Theoretical level lines in section and grid lines in plan are the basis from which physical dimensions for the design are established. 6. Industrial Materials Ongoing innovations, developments, and applications of technological knowledge and capability are generally regarded as a positive form of progress in Western culture. Materials, equipment, and components of varying levels of technical sophistication and complexity (many, if not most, pre-assembled in technologically advanced remote facilities for delivery to a construction site for installation by moderately to marginally skilled workmen) are the norm. The House for Descartes would be likely to employ the full range of technically advanced materials and methods of construction, such as windows, plumbing, mechanized heating and cooling, or the aforementioned concrete cycloid vaults that integrate tensile steel elements to create an engineered composite assembly of concrete and steel. 7. Defined Spaces Specialized interior and exterior spaces designated by names reflect Western tendencies toward both categorization and specialization. Spaces in the House for Descartes (noted in the legend on the plan) indicate how various spaces are designed for specific functions, and have distinct identities within the overall system of interior and exterior spaces. 8. "My Home is My Castle" In an essay entitled Place Between, Robert Dripps and Lucia Phinney assert "The fundamental diagram of the house... is a diagram of stasis, focus, and orientation which locates its inhabitants at the center of the world." They go on to say that "It furthermore is a diagram about edges, since it has always been and always will be important for people to understand the boundaries that define their centered domains". Making a place for oneself in the world to "come home to" in Western culture means creating an environment where one may take refuge from the rest of the world that is "out there". 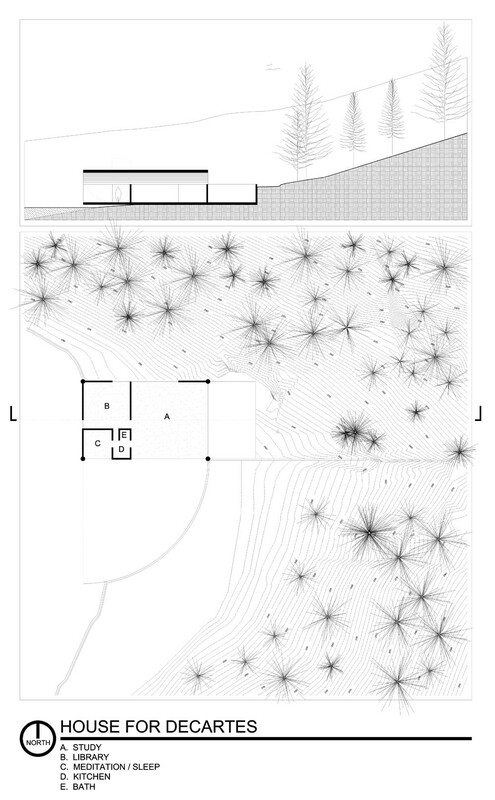 The House for Descartes has clearly defined boundaries, and the space claimed for the home, which includes both interior spaces and formal exterior spaces, are clearly defined as the domicile of the owner. 9. Symbol of Power In Western culture, the home is commonly perceived as an expression of the material strength and power (read "wealth") of the owner. The occupant of a home will tend to see their residence as both a form of expression and a source of their individual identity - the differentiation of 'self' from others. The house, and other material possessions gathered in and around it, say much to Western culture about "who" lives there. The House for Descartes would be seen as a reflection of 'success'. A strong and sophisticated architectural composition built on a highly desirable site would show Descartes to be in command of his destiny - and his environment. 1. Harmonious Placement The Taoist approach to selecting a homesite would encourage an intuitive selection of a place to dwell in the natural environment in co-existent harmony with the landscape. The example solution, using the same theoretical site, locates the Taoist dwelling on an existing ledge that provides both a sheltered area and an overlook to support contemplation of the surrounding natural environment. 2. Site Stewardship The Taoist ideal is to flow with nature as nature flows through you. The landscape is hardly altered to accommodate the House for Lao Tzu. Were he to leave, it is likely that there would soon be almost no trace of his former presence. The Home for Lao Tzu makes no modification of the creek, waterfront, trees, topography, or other natural features of the landscape. 3. Blend Taoist doctrine allows the intervention of nature by man to support the needs of man, given that man is part of nature and takes a rightful place in the natural world. The goal is to live in natural harmony with all else. The House for Lao Tzu is not a formal object in the landscape; it is a simple series of minimal supplements to (rather than bold alterations to) the landscape. 4. Casual Composition The concept driving the distribution of elements in the design of the Taoist residence would be harmony with nature. 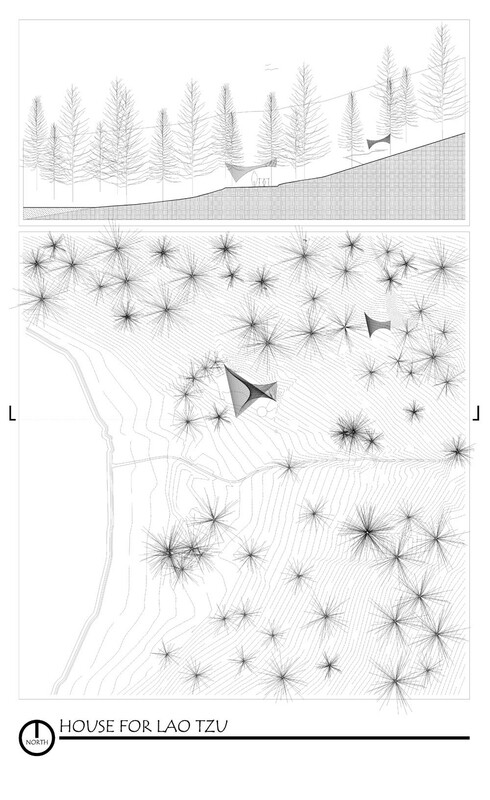 In the example solution, spaces are scattered amongst and within the landscape. The main studio, located on a natural bench, has a protective shelter open to the landscape and a fire pit. A path gently weaves through the site, across the creek and back, to a remote latrine. Like the studio, both path and latrine are sited to facilitate a meditative experience, integrated into the landscape. 5. Natural Forms For Lao Tzu, the work of most contemporary architects would have far too much to do with "unnatural" action (wei) and shaping of desire (yu). The Taoist ideal would be to intuit the simplest, most natural response to the challenge of dwelling in a place. The Taoist dwelling would provide shelter by means of minimal solutions. The example solution consists of tensile, tarp-like structures - organic forms that emulate the character of the natural world. 6. Unprocessed Materials The Taoist approach to the selection and use of materials would be to use natural materials in a natural way. Industrial technologies or faux materials would be disfavored. In the House for Lao Tzu, simple materials would be used in a straightforward way that did not conceal or alter their natural character. 7. Autonomous Spaces Taoist doctrine discourages defining things. Spaces in the 'House for Lao Tzu' are not labeled. 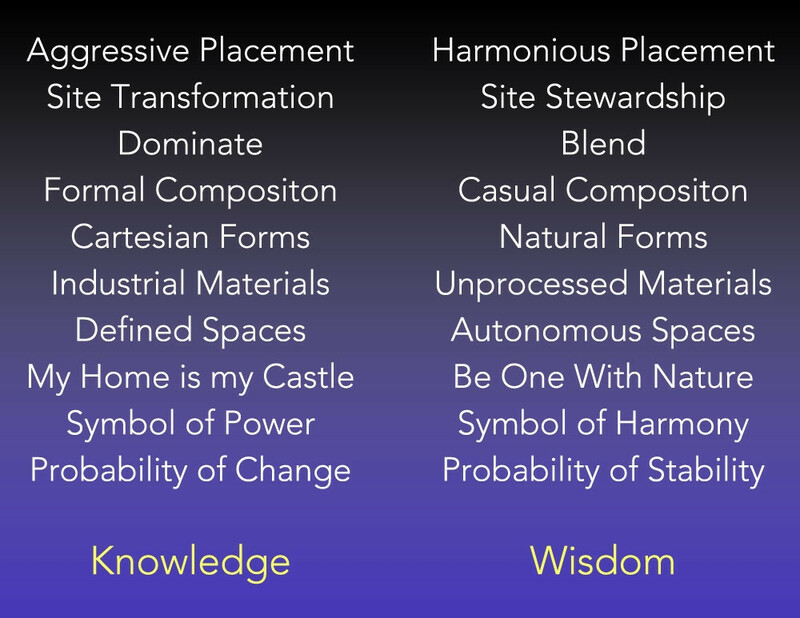 In contrast with the House for Descartes, there is no legend on the plan indicating how various spaces are designed for specific functions or have distinct identities within a hierarchy of interior and exterior spaces. 8. "Be One With Nature" Rather than thinking of a house as an enclosure within which one takes refuge from the world beyond, the Taoist premise will be to become one with that world. From the point of view of Western culture, 'The House for Lao Tzu' may not be recognizable as a 'House' so much as a garden. The dwelling is integrated into the landscape by means of a minimal distribution of non-intrusive elements, each of which is made with the intent of harmonious cohabitation with the landscape. The more in harmony with nature, the better. 10. Probability of Stability Eastern culture views time as cyclical in nature; the present moment, as well as moments past and future, are all part of a continuous flow of time. Taoist teachings encourage taking life as part of a natural process within this flow, avoiding that which creates desire. 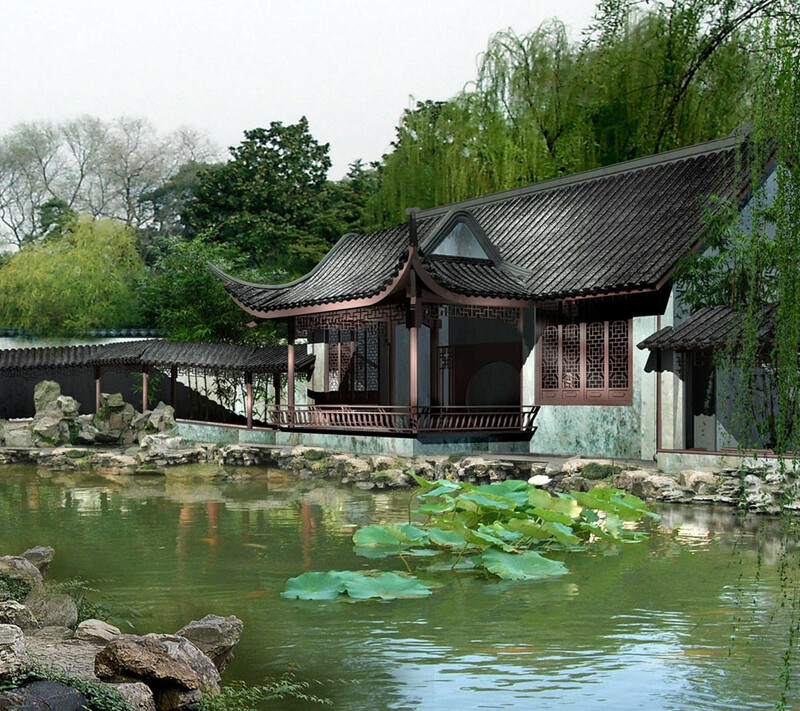 As an Eastern integration of dwelling with the natural world, the House for Lao Tzu would have a timeless character. There would be no restless inclination even to define, much less refine or re-define, things. 'The Way' is one of harmony; that is all. There is no motivation to even consider change other than to simply become more attuned to The Way. For Lao Tzu, then, wisdom; for Descartes, knowledge. The work of Lao Tzu and Descartes both represent significant contributions to their respective cultures; both were also the intellectual products of the cultures they lived in. Had Lao Tzu offered his views in the context of the culture from which Decartes emerged, or had Decartes offered his views in the cultural context from which Lao Tzu emerged (allowing the improbability that such a scenario was plausible in either case) it probably would not have mattered. The chasm between their respective cultures would have made it highly unlikely that either would have found a receptive audience amongst the peers of the other. Although present-day cultures of West and East remain descendants of their respective heritages, and some blending of both thought systems may be discerned throughout contemporary popular culture, it has clearly been the Western view that has dominated the design of the built environment throughout the industrial world. Given the more complex cultural context we live in today, and given our increasing awareness of the environmental consequences of our choices, it may serve us to consider how elements of Eastern and Western thought may complement, influence, or enrich one another. Imagine design solutions less starkly Western or Eastern than some blend of both, promising more technological mastery than our theoretical Eastern solution... and more sensitivity and harmony than our theoretical Western solution. Imagine building with ideas and materials that seamlessly blend Cartesian sophistication with Taoist harmony. If they lived in our time, and if our work was worthy, perhaps both Lao Tzu and Descartes would approve. 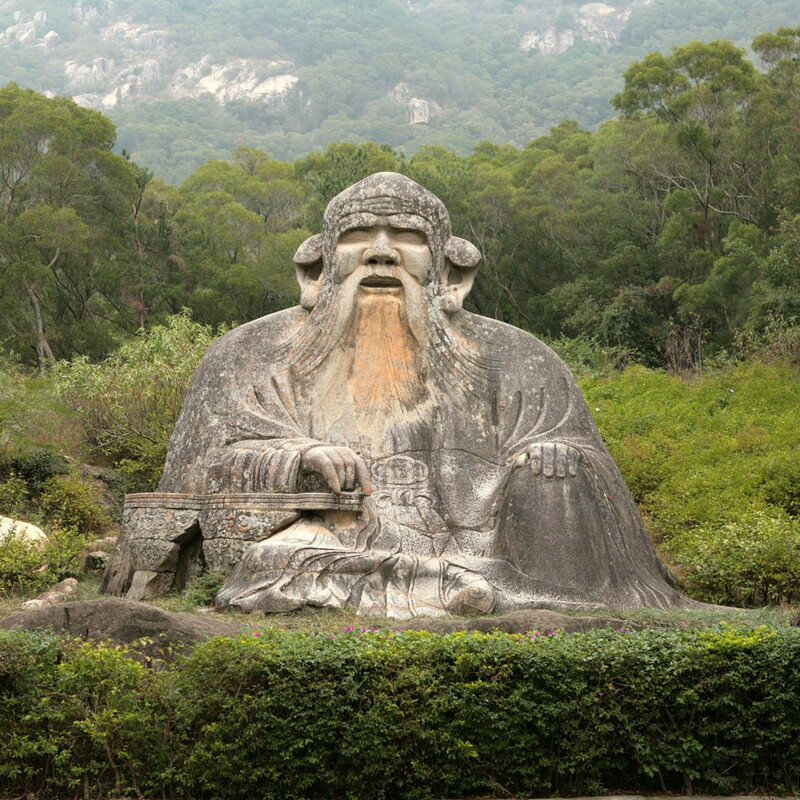 Much like the Greek poet Homer, any biographical record of the life of Lao Tzu is lost to history, and there is some uncertainty as to whether Lao Tzu actually even existed - or whether the writings he is credited with were the work of numerous Taoist poets using a pen name. Lao Tzu, Tao Te Ching, Book One Chapter Three. In Deconstructing the Kimbell, Michael Benedikt suggests that "... the transitory motion inherent in the generation of the cycloid, a movement of tremendous logical depth because it is so purely mathematical, is precisely what Kahn hoped would surface in the perception of the vaults..."
 In How Buildings Learn, Stewart Brand diagrams the prevalence of change over time in every aspect of the environments we create for ourselves. This tendency to restlessly aspire to 'improvements' is prevalent in the West, but is clearly the antithesis of Taoist doctrine. The Tao Te Ching offers, in Chapter 8, that "Highest good is like water. Because water excels in benefiting the myriad creatures without contending with them and settles where none would like to be, it comes close to the way. In a home it is the site that matters; in quality of mind it is depth that matters; In an allie it is benevolence that matters; In speech it is good faith that matters; In affairs it is ability that matters; In action it is timeliness that matters. It is because it does not contend that it is never at fault." Doczi suggests "Among the essentials needed to turn mere survival into the art of living, perhaps none are more important than wisdom and knowledge. In a certain sense, these two human aptitudes are almost indistinguishable from each other; in another sense they are polar opposites. Wisdom is a putting together, knowledge a taking apart. Wisdom synthesizes and integrates, knowledge analyses and differentiates. Wisdom sees only with the eyes of the mind; it envisions relationship, wholeness, unity. Knowledge accepts only that which can be verified by the senses; it grasps only the specific and the diverse". He later adds, "Both wisdom and knowledge are based on experience, but wisdom more so than knowledge, which frequently retains experience only through the filter of conceptual thought, at times discarding the seeds of life. In contrast, wisdom often stammers, or speaks in images, symbols, paradoxes, or even riddles".